Created using MCreator <-Click here for Download. To use the different blocks of ''Arcane Pillar Base'' from version 1.5.1, you need to install ''NoMoreRecipeConflict''. 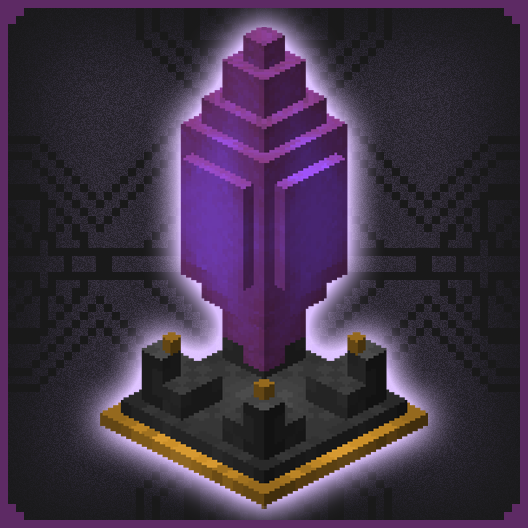 Based on Thaumcraft (No dependency).They are lamps of 3 sizes, large (3 blocks high), medium (2 blocks high), & small (1 block high). There are 5 color variations ''Blank, Purity, Crimson, Corrupt (Special), & Rainbow (Special)'', with their respective recipes. First you'll have to get ''Arcane Crystal Ore'', it's a bit hard to find, this mineral gives ''Arcane Crystal'' x1. 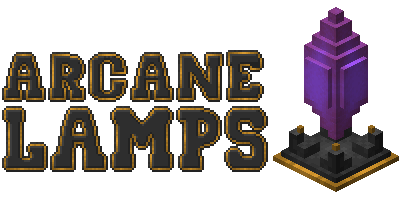 By surrounding any type of stone with gold nuggets you will get ''Arcane Base'' (Material needed to create the lamps) serves as a elegant decorative block. Do the (Special) lamps do anything "special"? Any chance of getting this updated to work on servers? I've got an idea for a small, build-friendly server modpack and I'd really like to use this mod. Sorry, MCreator has many limitations, and I honestly do not know much about Java code. I tried everything to solve that error. I would suggest you think about learning Java in your spare time as this bug is trivial to fix with direct access to Forge. If I found a modder that could turn this into a working mod using your models, would you let them? I can't make any promises, but I can ask around. The lamps look absolutely fantastic, and I really want to add them to my modpack. Unfortunately MCreator creates really unstable mods. Perhaps the modder and Cesar could work together. 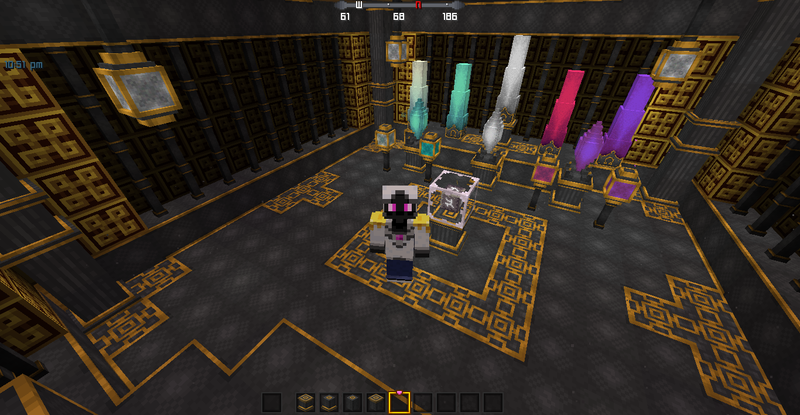 I didn't notice the limitation, so I will need to remove arcane lamps for the time being unfortunately from my modpack. Of course you can use my models, just put me as a design modeler. I'm working on an update, but I'll upload it in Beta test mode, and as a separate Mod from it, since I'll add a few other things apart. I am looking for a Modder to help me with this update, since it is vastly large. Thank you. I made a thread on Reddit asking if anyone was willing to add the models to a standard Forge mod. At least one person has expressed interest. The_Icy_One may port it, but wanted to get express permission from you first. They may contact you in the near future. Instead of making the mod require nomorerecipeconflict, maybe you could have the recipes cycle? like, crafting 1 pillar makes a pillar top, 1 pillar top makes a pillar middle, one middle makes a bottom, and then 1 bottom cycles it back to the stand alone model? It seems weird to require a fixxer mod. In the last update, fix the recipe conflict. You create the Pillar Base, if you place it on the top of the crafting table you create the top pillar, in the central part the central pillar, and in the lower part the bottom pillar. I will try to solve it as quickly as possible. I solved it, but I had to remove the 3D model, it was what affected the rendered.